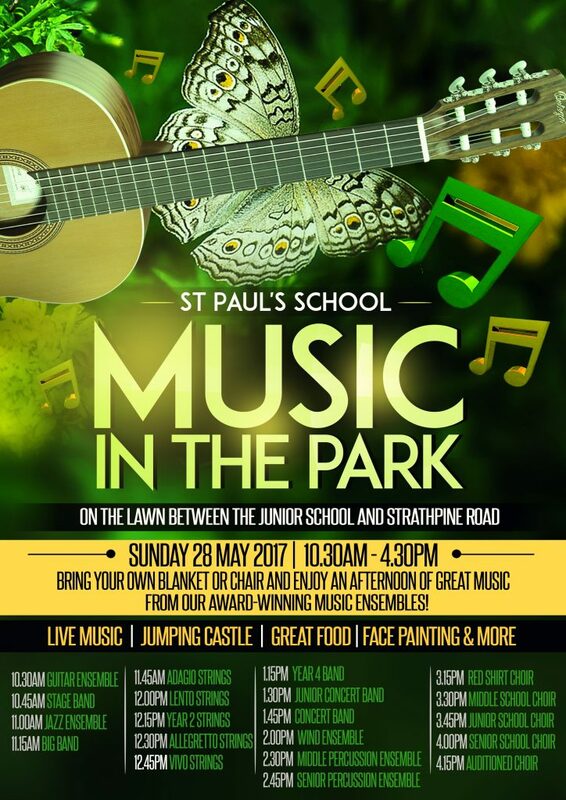 Our annual Music In The Park event is coming up on Sunday 28 May. 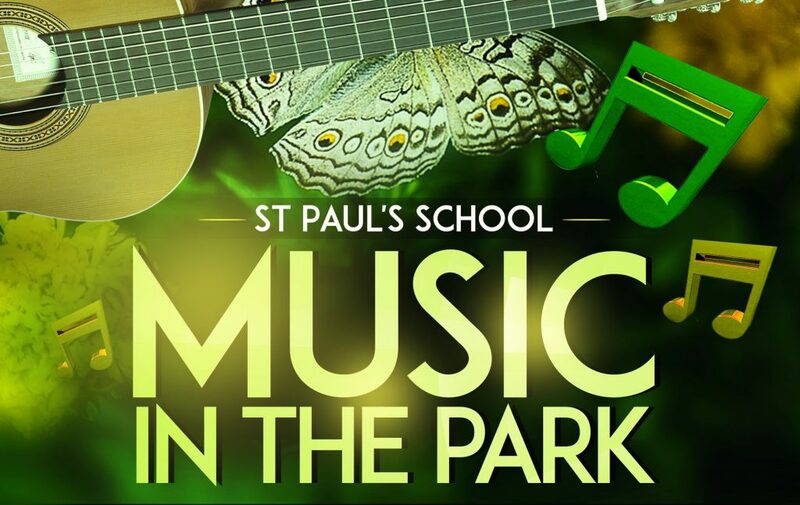 This is a wonderful day of music on the lawn behind the Music Centre, and features every one of our ensembles, ranging from Year 2 Strings to Wind Ensemble. There will also be delicious food available, as well as face painting and a jumping castle. Bring a picnic blanket and enjoy the music that our talented students make. Thank you for your patience while we rebuilt the St Paul’s Music calendar after it was infected by gremlins earlier this term. We are pleased to announce that a new version of the calendar is accessible by visiting the St Paul’s Music website – http://stpaulsmusic.com.au/ – and clicking on the ‘Event’ tab. All events for Term 2 are on the calendar and we will be adding events for the remainder of the year in the coming days. Please check this site for details about upcoming events, such as Music In The Park, QYMA and the Solo Competition. You can also connect with us on Facebook (St Paul’s Music) and Instagram (@musicsps). We look forward to seeing you at one of our performances very soon. Round One of the second annual St Paul’s Solo Competition kicks off on Friday 19 May. A week of lunchtime auditions will be held starting on this day, followed by two evening concerts adjudicated by a guest judge for Round Two. The grand final will be at Sandgate Town Hall on Thursday 15 June. Last year the competition was fierce, and audience members were blown away by the level of musical talent our students possess. This year’s competition is shaping up to be just as exciting. We encourage as many students of any ability level from the Middle and Senior School as possible to enter this competition. It’s a wonderful opportunity to practise your audition skills in a friendly environment, and provides an excellent practise goal for Term 2. Entry forms are available at the Music Centre. Recently we saw Wind Ensemble and Concert Band compete in the Queensland Youth Music Awards. Both groups performed incredibly well; each received a Gold Award and were placed second and third respectively in their sections. Congratulations to the musicians on their hard work! Later this month our choirs will be performing in the same competition. We wish them all the best for their performances.